Natural Extracts Industries Ltd. (NEI) is a social enterprise dedicated to providing socio-economic and environmental solutions in the sustainable agriculture sector. They work with over 1600 smallholder farmers, adding value to their crops and providing them with access to the global market. NEI trains farmers in the practice of intercropping vanilla vines at their farms, then purchases their vanilla pods and processes them at the company’s factory. Vanilla is one of the world’s most valuable spices, and farmers can double their yearly income by growing it. NEI places a large focus on the environmental aspects of their mission, through climate change mitigation techniques like agroforestry and rainwater harvesting. Because vanilla requires shade to grow, it promotes the conservation of trees throughout NEI’s farmer network. Farmers are deterred from participating in deforestation to expand crop production when vanilla can be intercropped with traditional plants like bananas. A growing challenge farmers are facing when growing vanilla is drought. Climate change has caused an increase in rainfall variability, and many farmers’ plants are beginning to dry up. NEI implemented their rainwater harvesting program in order to combat this. Farmers are selected for the program based on their level of water-stress, with priority given to women farmers. They receive a rainwater harvesting tank installed at their farm, as well as training on how to properly utilize it. I have had the opportunity to visit several of NEI’s farmers and witness the impact that growing vanilla has had on their lives. One of these farmers was Mary Ulomi, who lives in Uswaa, Kilimanjaro with her husband and five children. In the past, Mary has lost vanilla plants due to lack of water. NEI installed a rainwater harvest tank at Mary’s farm in August, and she is now able to use harvested water for irrigation. Since the installation of the tank, her plants have remained in good health. Mary, whose livelihood is solely dependant on agriculture, is using her extra income, generated from working with NEI, to both send her children to school and invest in other economic activities such as maize cultivation. Many similar stories have emerged from other farmers I’ve spoken with. One farmer, Wilfred, told me he uses his extra income to invest in his love of beekeeping; another, Evaline, uses it to help care for her five grandchildren. 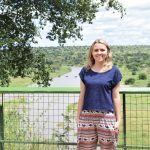 Something that has come to my attention recently, which affects farmers like Mary and Evaline, is local cultural perspectives towards the role of women. Just over 30% of NEI’s farmers are women, who, as is tradition, carry out labour on their family’s farm and care for the vanilla vines. However, when it comes time for NEI to buy the vanilla pods, it is the head of the household, or the man, who accepts the payment. This raises a lot of questions that I would like to explore further throughout my placement, such as whether or not this is viewed as unfair by the farmers themselves, and if the responsibility to address this falls with NEI. 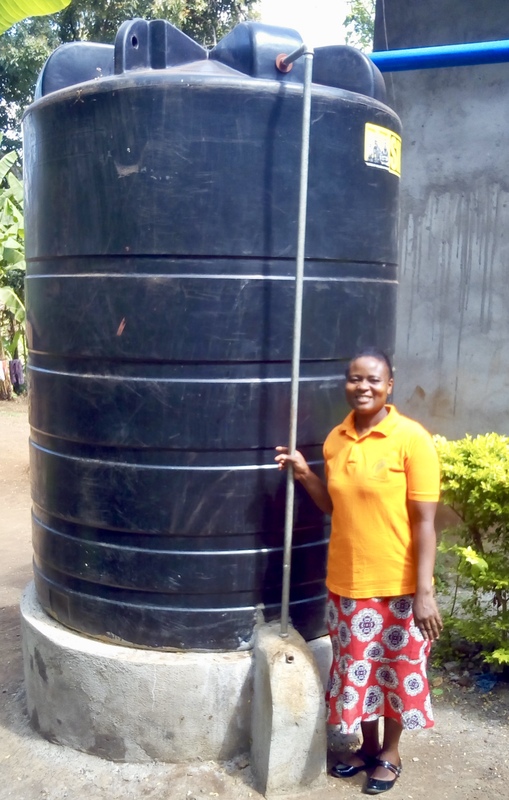 Farmer Mary Ulomi with her rainwater harvest tank.